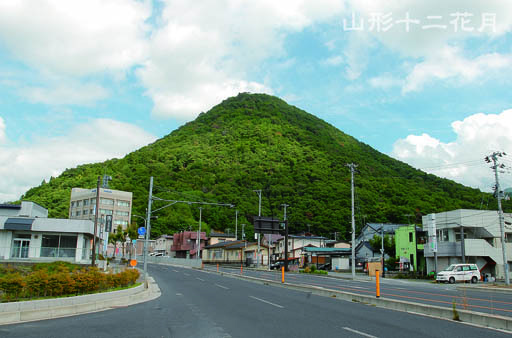 Jikakudaishi blessed Mt. 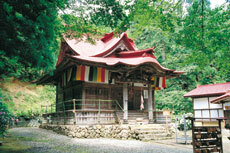 Ryuzan and then established Risshakuji Temple, since which time people have been worshiping the mountain. 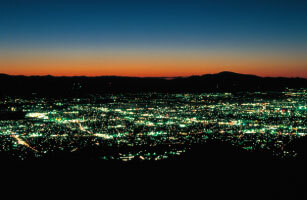 Nishi-Zao Kogen, with a garden of wild grasses, campsites, parks and grazing land, lies at the foot of Mt. 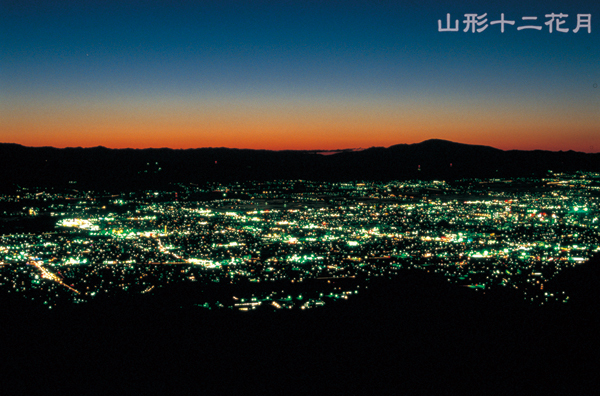 Ryuzan, near Zao Onsen and the center of Yamagata. It is said that the cherry trees have been growing on the grazing land since the Heian Period. They bloom with beautiful pink flowers in spring. At the mountain foot by the Ryuzangawa River there is an old Tendaishu temple called Shakugyoji Temple founded by Gyoki in 708, and later reconstructed by Jikakudaishi. 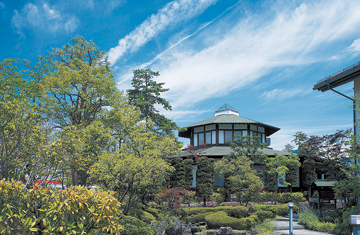 Iwanami Kannondo building, a tangible cultural asset designated by Yamagata Prefecture, stands in the grounds. 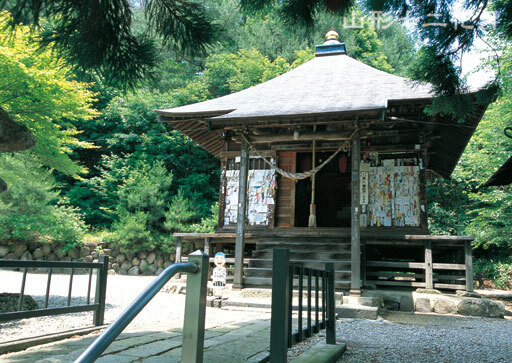 This is the place of the seventh paper amulet of Mogami's 33 Kannon statues. There is also a beautiful landscape garden with a waterfall and stream. Mt. 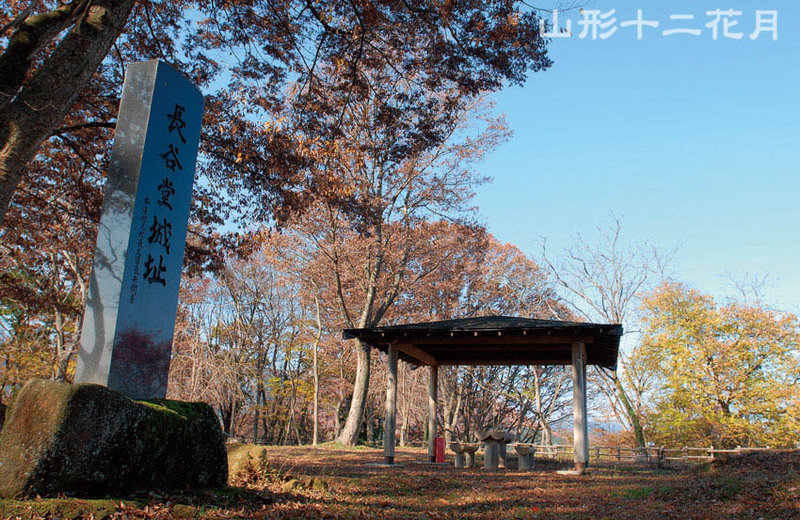 Chitoseyama and the Akoya pine tree appear as historical interest in the Tohoku region in classic literature such as Konjaku Monogatari, Gempei Seisuiki and Heike Monogatari. At the foot of Mt. 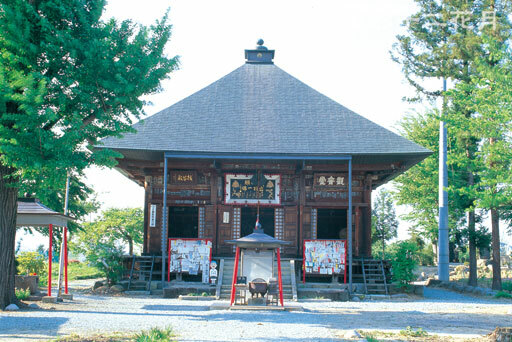 Chitoseyama is Banshoji Temple, said to have been founded by Princess Akoya in the Hakuho Period (about 1,300 years ago), the oldest temple in Yamagata. 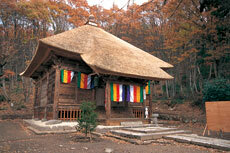 The temple's Buddhist sanctum is in the doma-style, which is rare in Tohoku. 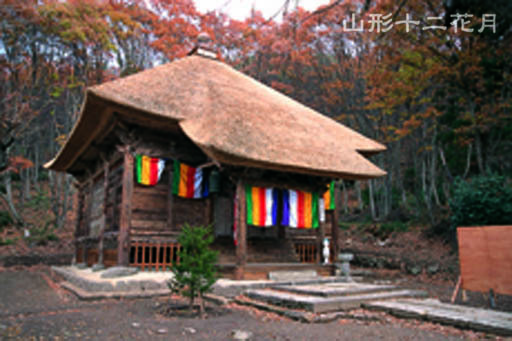 It is a tangible cultural asset designated by the city of Yamagata. 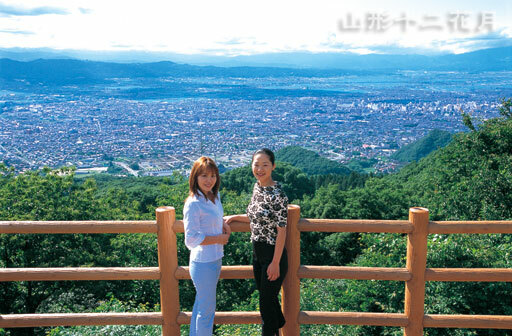 In Chitose Furoen Park, halfway up Mt. 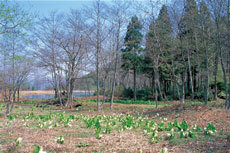 Chitoseyama, there is a second generation pine tree called Akoyanomatsu. 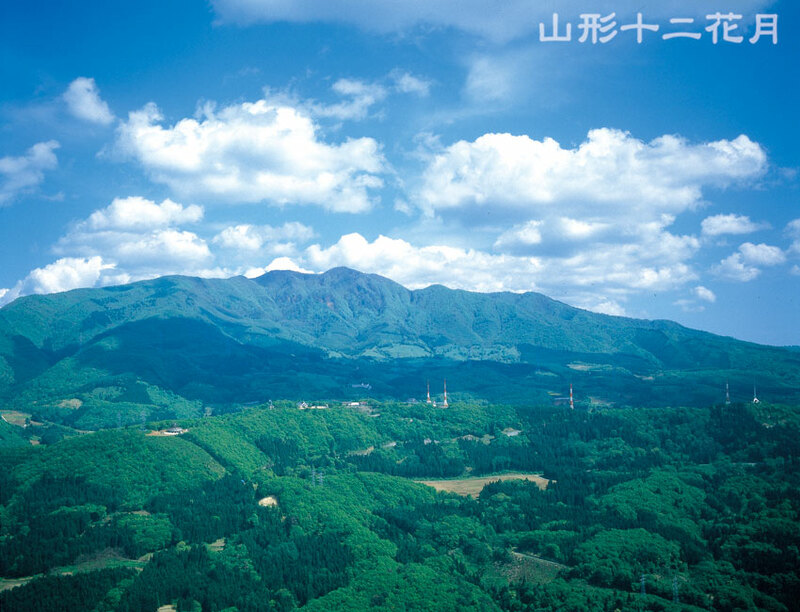 This village is full of nature with distinctive natural features and is famous for its long history and tales of yore, being the site of the legend of Sumiyaki Tota and the birthplace of Zao worship. 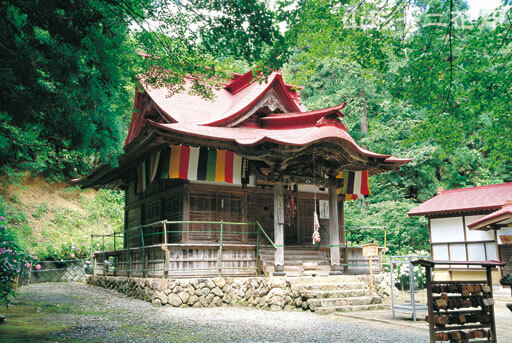 Karamatsu Kannon Temple at the upper reaches of the Mamigasakigawa River is the place of the fifth paper amulet of Mogami's 33 Kannon statues. 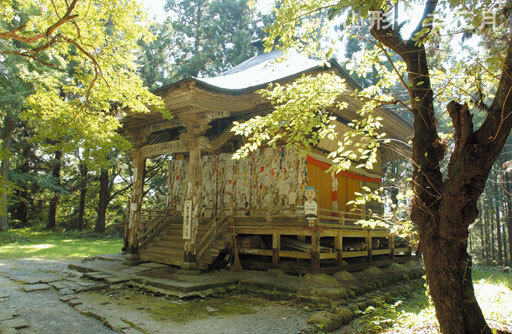 The temple's origins are said to derive from the man, Sumiyaki Tota, who enshrined a statue of Kannon, a guardian deity of Princess Toyomaruhime, who became Tota's wife, in a cave in Mt. Karamatsuyama, in the Heian Period. 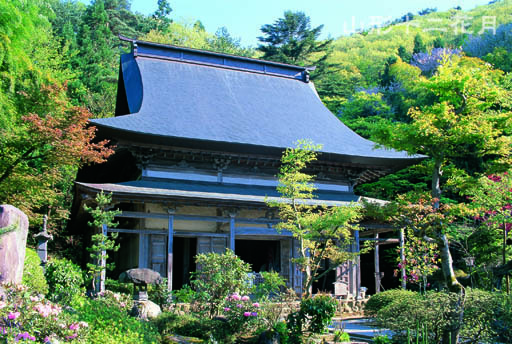 Later, a building dedicated to the Kannon was constructed on the rocky mountain, mimicking Kiyomizu Temple in Kyoto. 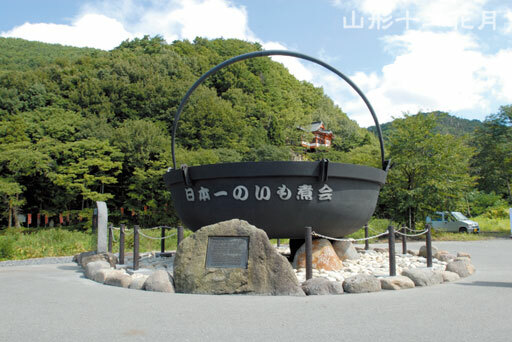 The first huge pot used to cook the largest ever volume of imoni (taro soup) in one go in Japan is displayed in front of the Karamatsu Kannon Temple in commemoration of the birthplace of imonikai (taro soup picnic) as a tourist attraction. It is said that the god, Zao Daigongen, appeared before Enno-ozunu in Kinpusan, Yoshino, after Enno-ozunu had completed his religious training of a thousand days, and that Daigongen's spirit later transferred to Katta-mine. This is the origin of the name, Zao. 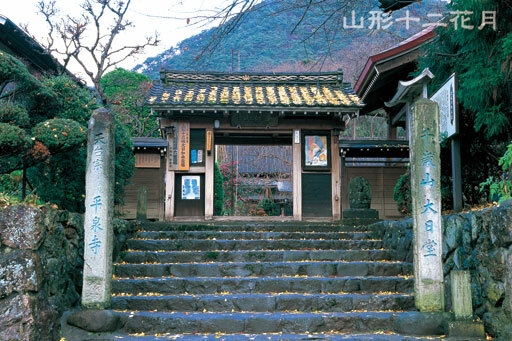 Zao Daigongen is enshrined at the Hozawa entrance, one of the starting points to climb Zao for worshipping. 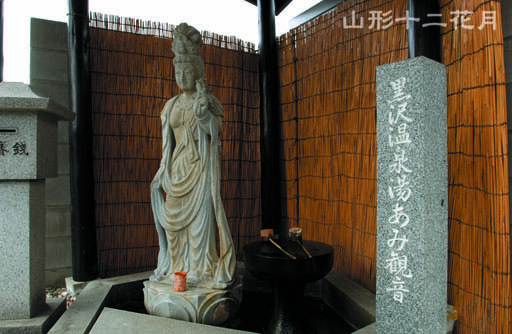 The statue of Zao Daigongen, a tangible cultural asset of the city of Yamagata, is in Shimohozawa in Higashizawa. This huge statue of a standing Daigongen is 3.64 meters tall. It is thought that Yoshiaki Mogami funded its construction. 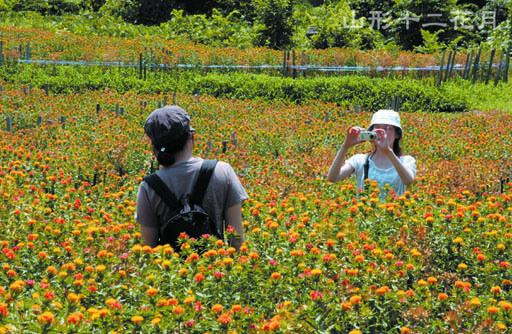 Still now with rural views remaining and long known for growing safflowers, it is also famous as the location of the anime "Omoide Poroporo (Only Yesterday)". 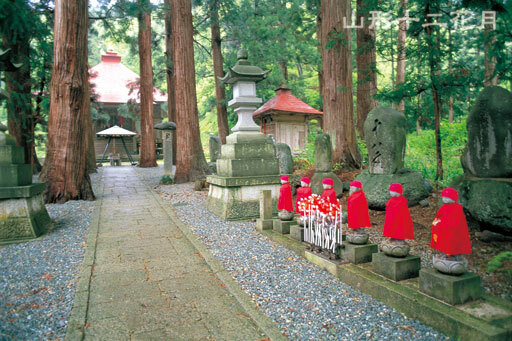 Religious relics abound in the village, including a stone pagoda, assumed to date from the Kamakura Period and designated as a tangible cultural asset by the city, in Furyuji Temple, a famous Tendaishu temple, said to have been founded by the monk, Jikakudaishi, in 856. This river starts life up in the mountains of Mt. Zao and Mt. Gantosan. The source of water for agriculture and daily life in Yamagata since ancient times, the river banks are now a place for people to relax and enjoy imonikai (potato soup picnics). 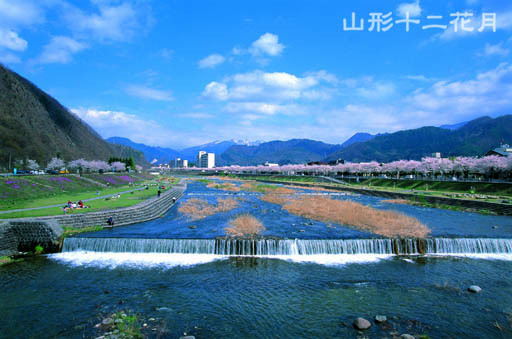 Mamigasakigawa River originally flowed north of Yamagata Castle, but in 1624, Tadamasa Torii, then feudal lord of Yamagata, diverted its course by demolishing part of Mt. 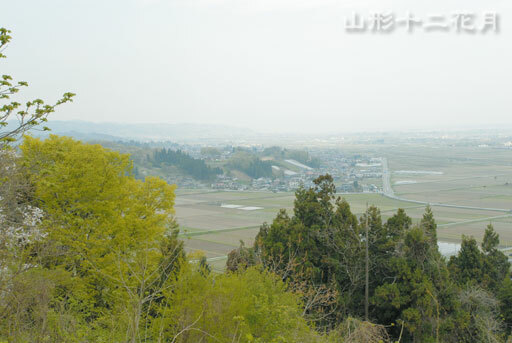 Sakazukiyama, as a flood prevention measure. 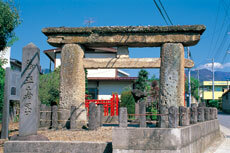 This old, simple torii arch made of volcanic rock, facing west with Mt. 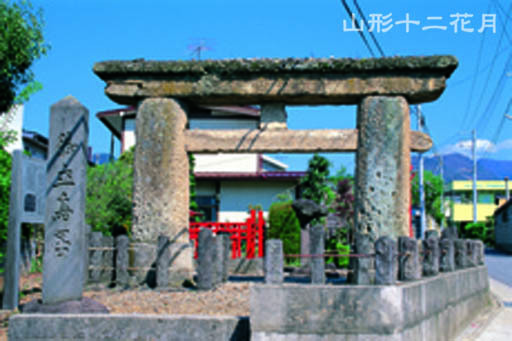 Ryuzan behind, traditionally called the "Motoki Stone Arch", and said to be Fujiwara Period because of its style, is designated as an important national cultural property as it is the oldest stone torii arch in Japan. Formerly facing west at the starting point to climb Mt. 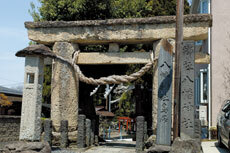 Ryuzan, but later moved to the beginning of the path to Narisawa Hachiman Jinja Shrine, this arch and the Ishizukuri Myojin Shrine arch are designated as important national cultural properties because they are the oldest stone torii arch in Japan. This hogyozukuri-style square building (each side of about 5.5m) constructed at the end of the Muromachi Period has graffiti from the Tensho and Keicho Periods. 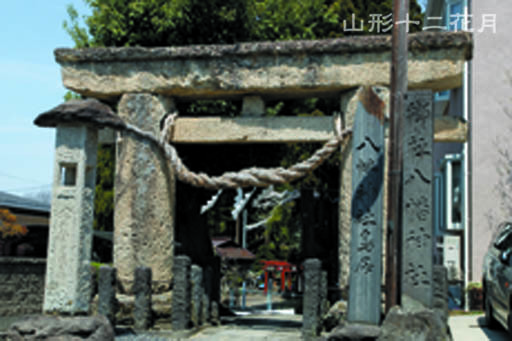 An important national cultural property and the place of the ninth paper amulet of Mogami's 33 Kannon statues. 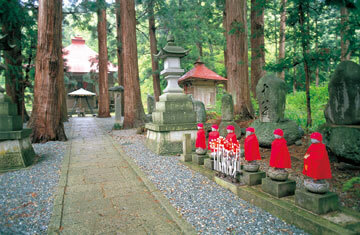 Enshrined are statues of Kanzeonbosatsu and Seishibosatsu made by Gyoki. A cherry tree and a katsura tree near the entrance path in the grounds are precious natural treasures designated by the city of Yamagata. The Battle of Sekigahara was a decisive battle. In Yamagata, Mogami's army sided with the Tokugawa Family fought Uesugi's army allied with the Toyotomi Family led by Kanetsugu Naoe for half a month. 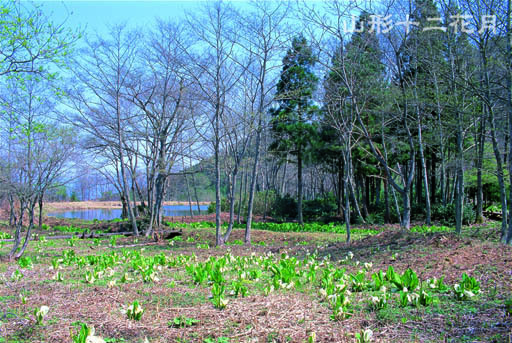 There are many relics of the Warring States Period here, including the ruins of Hasedo Castle (Mt. 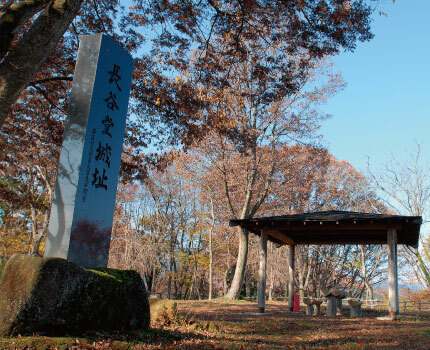 Shiroyama), which was the base of Mogami's army and the site of the fierce battle, and Mondozuka monument that the villagers erected for the repose of the souls of the warriors of both armies. Halfway up Mt. 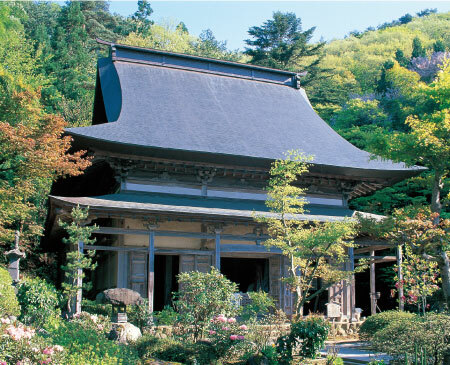 Shiroyama is Hasedo Kannon Temple, the place of the twelfth paper amulet of Mogami's 33 Kannon statues, founded by Minamoto no Yoriyoshi to enshrine Kanzeon in Yamato Hasedera Temple, which was the guardian deity for his conquest of Oshu, following a dream he had. This explains the secondary name of the temple, Hasezan, and the name of the area, Hasedo. 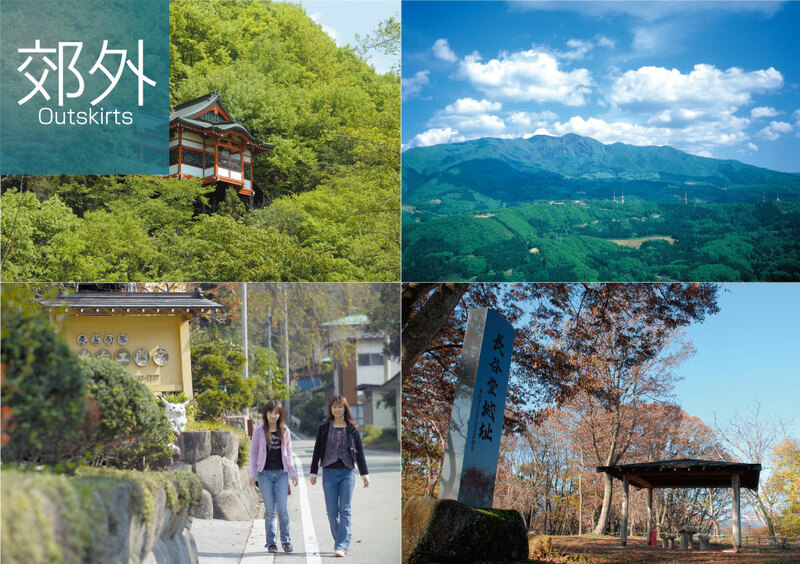 Enjoy strolling the paths in the Odaira area where camellias grow in the natural environment west of the city of Yamagata and at the foot of Mt. Shiratakayama. Camellias bloom from mid-April to the beginning of May, at about the same time as Asian skunk cabbages. The flowers have one layer of crimson petals. 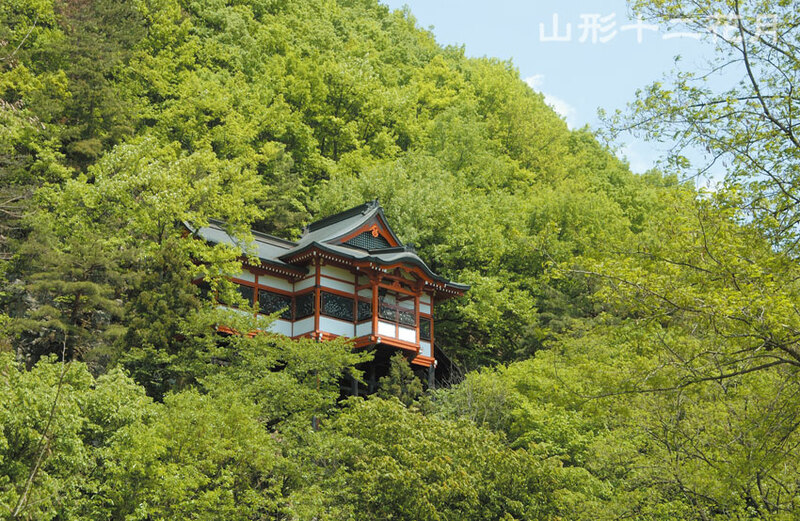 Locally known as "Wakaki no Monju" or "Hydrangea Temple", Deshio Monju has been worshiped as the guardian deity of the area west of Yamagata Castle since Kaneyori Shiba moved to Yamagata Castle. The trees in the grounds, called married cedars, are designated as precious natural treasures by the city, and are worshipped as symbols of the concord of man and wife. 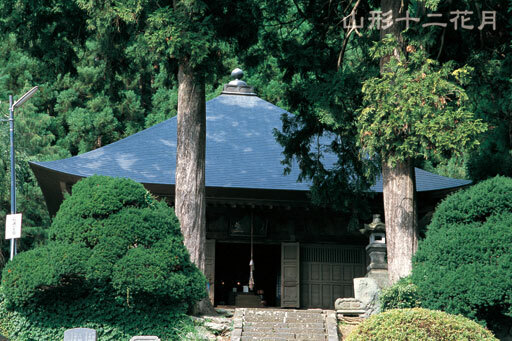 Said to be founded by the monk, Gyoki, in 737, this temple is the place of the third paper amulet of Mogami's 33 Kannon statues. 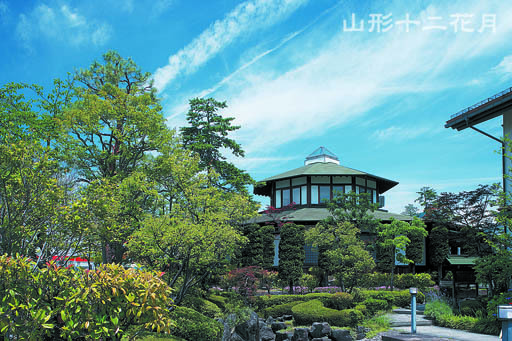 Senjudo, the main building, is called "Dewa Ichibutsu Senjudo". 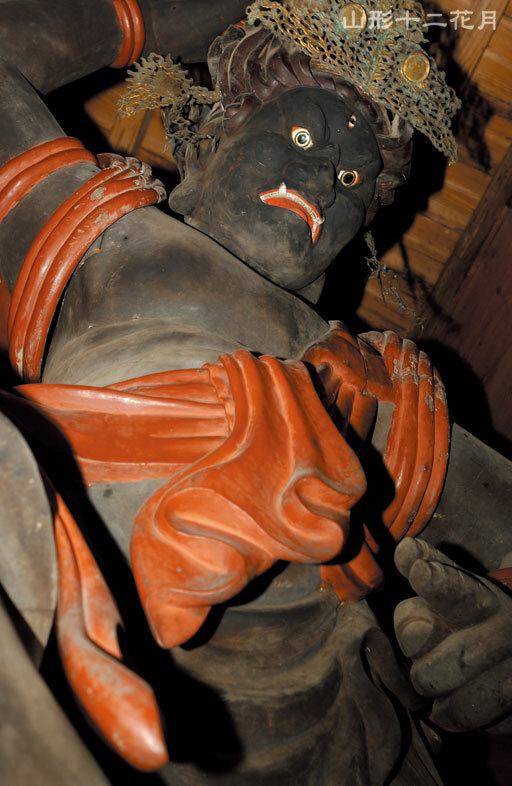 Dedicated to the statue of the thousand-armed Goddess of Mercy, which was made in the middle of the Heian Period and is designated as an important national cultural property. 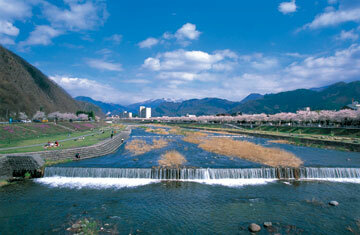 This is a quiet hot spring with a rustic atmosphere in a rural area with a view of the Zao mountain range. 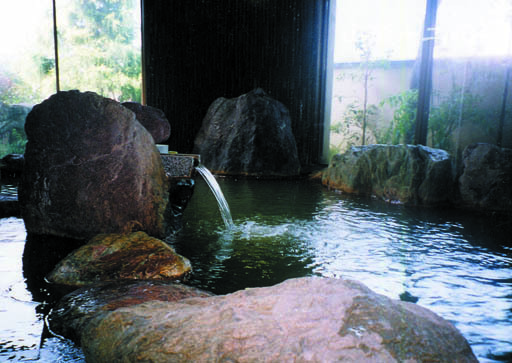 There are seven onsen inns where you can bathe in the sulfer-rich hot water that springs up from 500 meters below ground. 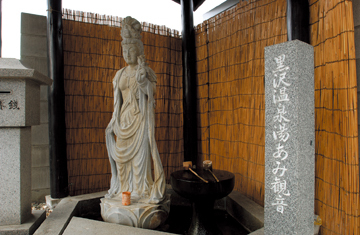 There is a place where you can pour the water onto a statue of Kannon and drink the water. 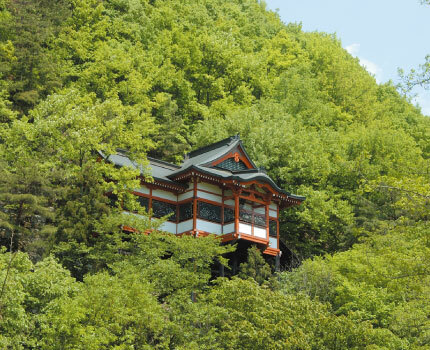 Located north of the city of Yamagata, the water in this spa comes from 800m below ground. The colorless water contains sodium, calcium, sulfate and chloride. 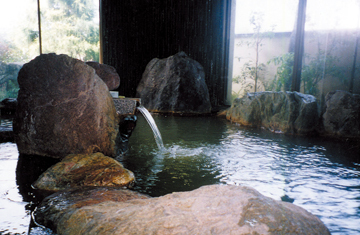 The large hot spring bath made from big rocks is famous. Day trip visitors are welcome. 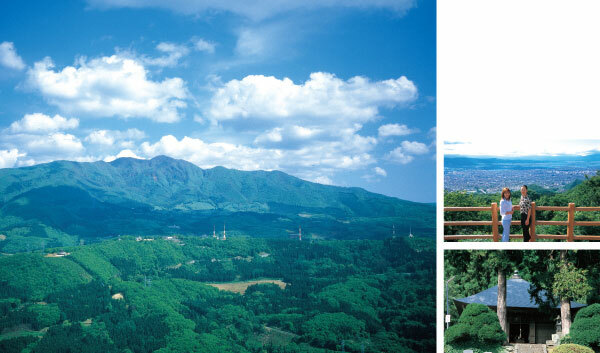 This spa is located at the foot of Nishi-Zao Kogen with a panoramic view of Yamagata. 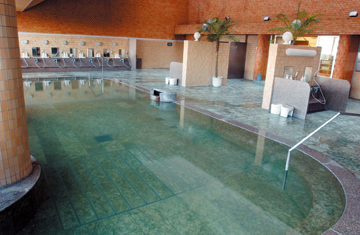 There is a strong flow of the spring water which is rich in sodium and sulfate. Day trip visitors are welcome. Sports facilities are available. 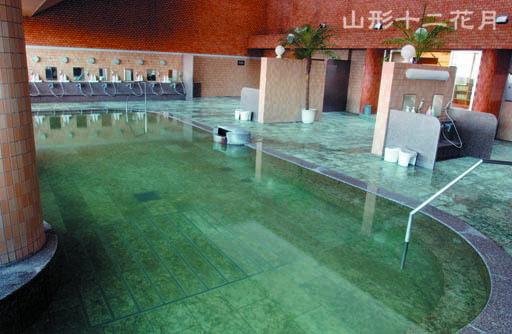 Weak alkaline hot water of beauty is manufactured of the water flowing directly from the hot spring source, a one hundred percent natural hot spring, and we are proud for the clear water quality. And women-only hot rock sauna is offered.